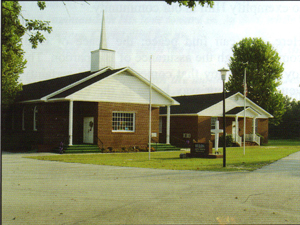 Hulon Baptist Church A Warm Welcome Awaits You! Welcome to Hulon Baptist Church! We are an assembly of Southern Baptists who accept the Holy Bible as truth without error. It is our precept for living. We are dedicated to the Gospel of Jesus Christ which brings salvation, hope and comfort. We endeavor to minister the best we can with what we have in Jesus' Name. Here at Hulon you can find peace; the peace of God that comes through the assurance of His pardon. There is joy here; the joy that comes from the certainty that you are on your way home to the Father. There is power here; the power which God gives, enabling you to meet the issues of life and resolve them to His glory. This is a place to celebrate God's love, forgiveness, salvation and direction in an atmosphere of acceptance and support. It is a place where we can come to grips with the meaning of having God in our lives and of what it means to be a follower of Jesus Christ. If you are seeking a Church home, we invite you to pray and join us in our pilgrimage of repentance and faith. This could be the end of your search for a spiritual Church!